In the broad sense intended here, a mentor is someone who takes a special interest in helping another person develop into a successful professional. In a good mentoring relationship, you, as the senior partner, can be a role model through both your words and your actions. Your ethical, scientific, and professional behavior all leave a strong impression on students, as does your attitude toward your work. The sum of all your actions as a mentor is what students take with them. The image of you as a person will last longer than your words or professional achievements. The power and value of the image will depend on the efforts you have made in building honesty, trust, and good communication throughout your mentoring relationship. There is no single formula for good mentoring; mentoring styles and activities are as varied as human relationships. Different students will require different amounts and kinds of attention, advice, information, and encouragement. The amount of attention that a mentor gives will vary widely. A student who is doing well might require only “check-ins” or brief meetings. Another student might have continuing difficulties and require several formal meetings a week. Try through regular contact-daily, if possible-to keep all your students on the “radar screen” to anticipate problems before they become serious. Don’t assume that the only students who need help are those who ask for it. Even a student who is doing well could need an occasional, serious conversation. Listen carefully. A good mentor is a good listener. Hear exactly what the student is trying to tell you-without first interpreting or judging. Pay attention to the “subtext” and undertones of the student’s words, including tone, attitude, and body language. When you think you have understood a point, it might be helpful to repeat it to the student and ask whether you have understood correctly. Through careful listening, you convey your empathy for the student and your understanding of a student’s challenges. When a student feels this empathy, the way is open for clear communication and more-effective mentoring. Give students broad exposure. One of the most helpful things you can do for students at any stage is to take them on visits to other laboratories or to industrial work sites. Such visits can give students a broad and realistic view of possible careers. Encourage involvement. Propose an active role in student chapters of professional societies, where students can gain group skills, learn about career possibilities, and make valuable contacts among both peers and professors. Use your network. Make use of your network of contacts to suggest internships, summer or part-time jobs, and off-campus mentoring. Share your experiences. Communicate your feelings about your professional career. Share your frustrations as well as your enthusiasms. When something excites you, tell your students why. Communicate the importance of mentoring and your hope that students will some day be mentors themselves. Students must augment their field-specific knowledge and experience with a variety of other skills if they are to make the best use of their talents. Beyond learning to communicate about science, many students need to develop informal communication skills in general, such as the ability to express themselves clearly and understand others’ responses. You can help them develop these other skills in the context of many learning activities. Goals. When a student has trouble articulating goals, be patient. As long as students are interested and engaged in their work, they shouldn’t be pressured. Goals must evolve at a natural pace. Remind students that they will almost certainly have multiple positions and perhaps even multiple careers, which is the strongest reason to aim for flexibility in qualification and experience. Planning and organization. Many undergraduates have little experience in organizing tasks and making good use of time. You can help them acquire this skill, beginning with simple scheduling. Use mentoring appointments as a framework. Writing ability. Clear writing is essential to most careers, especially those in administration and management. Engage your students in writing tasks and emphasize its importance. Oral communication. Speaking is at least as important as writing. 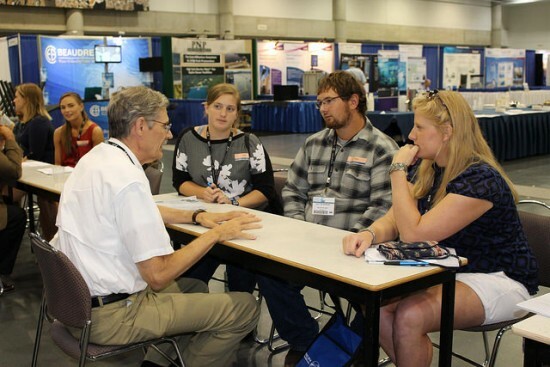 Students must be able to present ideas and results to other scientists and engineers, as well as to the lay public and specialists in other fields. For students with low confidence, begin with “safe” exercises: Ask them questions and let them respond without interrupting. As they gain confidence, move on to class presentations and talks at student disciplinary-society meetings. Help them develop their research presentations. Leadership. Advise students to join and take a leadership role in disciplinary societies, journal clubs, student government, class exercises, and volunteer activities. Creative thinking. A productive scientist or engineer is one who approaches problems with an open mind. Give students permission to move beyond timid or conventional solutions and remind them that original thinking carries some risk. Provide an environment where it is safe to take intellectual risks. People skills. Discourage students from working in isolation from others. People skills-the abilities to listen, to share ideas, and to express oneself-are indispensable for most positions. Look for opportunities to include shy or withdrawn students in social gatherings and group projects. Teamwork. Learning is often most effective within a community of scholars. Cooperative problem-solving skills can be developed through group exercises, collaborative laboratory work, and other team projects. Team skills have gained importance with the trend toward multidisciplinary work in science and engineering. Minority issues. Blacks, Hispanics, and American Indians as a group make up about 23% of the US population, but only about 6% of the science and engineering labor force. Many minority-group students are deterred from careers in science and engineering by inadequate preparation, a scarcity of role models, low expectations on the part of others, and unfamiliarity with the culture and idioms of science. Mentors can often be effective through a style that not only welcomes, nurtures, and encourages questions, but also challenges students to develop critical thinking, self-discipline, and good study habits. Expectations for minority-group students in science have traditionally been too low, and this can have an adverse effect on achievement. Female representation. In some fields-notably psychology, the social sciences, and the life sciences-females are well represented as students but underrepresented in the professoriate and are not always appointed to assistant professor positions at a rate that one would expect on the basis of PhD and postdoctoral student representation. In other fields-such as mathematics, physics, computer science, and engineering-females are underrepresented at all levels. In all fields, the confidence of female students might be low, especially where they are isolated and have few female role models. Self-doubt. Some students, especially if they are the first in their families to attend college, fear that they lack the ability or preparation to become scientists or engineers. Gently probe the student’s level of interest and most-satisfying activities. Introduce a student with low self-confidence to another student or a colleague who faced similar challenges. Pay special attention to motivation, which might be more important than background in deciding a student’s success or failure. In addition, beware of letting your own assumptions or biases distort your opinion of a student’s potential. For more information or details on mentoring, please see the National Academy of Science’s “Advisor, Teacher, Role Model, Friend”.